Hike for Hospice is a nationally supported BCHPCA event that takes place the first Sunday of May and sees 100% of all donations used locally. CLICK TO JOIN US: May 5, 2019. 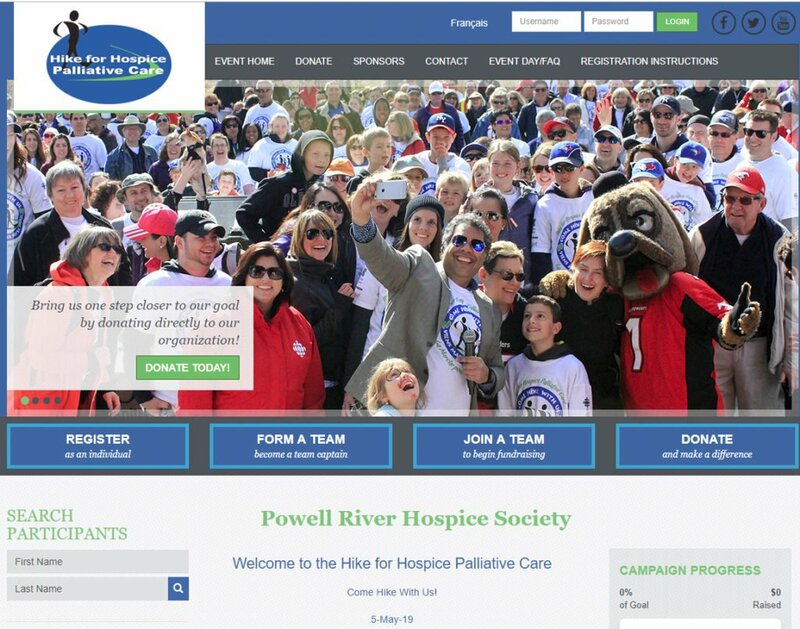 The Powell River Hospice Society, a community-based, non-profit organization, offers social, emotional and spiritual support to individuals at the end of their life—through compassion, respect and care, aimed at quality of living and a good death. We also support family and friends in grief and bereavement, and are committed to providing education and advocacy throughout the community. We are a registered charity that provides end-of-life and bereavement support to those in the Powell River Regional District, including Tla’Amin First Nation and Texada Island. The fun begins at 11:00 at the Willingdon Park Gazebo when the registration desk opens. There will be a group stretch and warm-up. The hike begins at the start of the Willingdon Creek Trail. After the hike, join us for some live music featuring Geoff Allan and Scott Ritter (Old Enough to Know Better) and Roger Langmaid. The Rotary Club of Powell River are hosting a bar-b-que for participants and the public. Hike for Hospice is a nationally supported BCHPCA event that takes place the first Sunday of May and sees 100% of all donations used locally. See you there. You can make a pledge for the hike right here on our website. All donations over $20 are eligible for Charitable Tax Receipt. 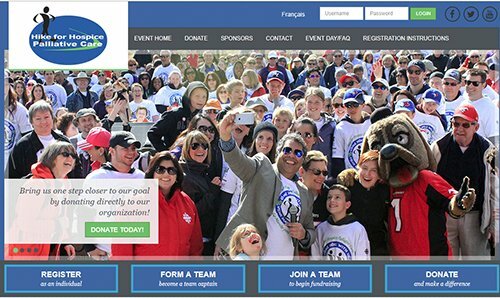 If you would rather set up a team and make your pledge on the national website, click on the image and sign-up there. Download and print your pledge form HERE. We provide social, emotional and spiritual support throughout your illness. Caregiving for a loved one can be both difficult and rewarding. We have a variety of resources to help. The grief journey is unique for everyone. We have trained volunteers, bereavement groups, and resources to support you. The Hospice Society works with general practitioners, specialists, and non-medical organizations to enhance palliative support to patients. CLICK to take our HOSPICE SURVEY - Help us serve Powell River better! Thank you to Sandra Tonn for the use of her forget-me-not photo in the slideshow above. Hike for Hospice is a nationally-supported BCHPCA event that takes place the first Sunday of May and sees 100% of all donations used locally. All donations over $20 are eligible for Charitable Tax Receipt. Make a pledge for the hike right here on our website.